Enrique Iglesias recently spoke with “Khaleej Times” ahead of his upcoming concert in Dubai later this week. 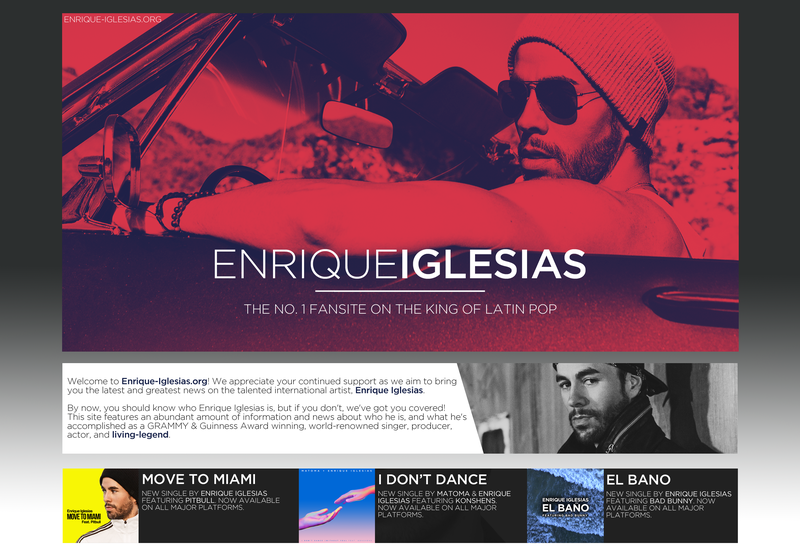 During the inteview Enrique talks about his favorite songs to perform live, what he has planned for Dubai, what he is listening to at the moment and more. Why do you believe your music has endured? Do you have a favourite number to perform? There are different songs that I feel work best in different cities. Recently, I Like It and Move to Miamihave been great performing live. Every day I’m listening to new songs as well as old ones. I love music and I am so thankful that I get to do this for a living. What have you got planned for your Dubai show? A whole new show with lots of great production. I’m excited to bring the show back to Dubai. The fans there are amazing and have so much energy. What is the best gig you have experienced to date and what made it so special? Each show is special in its own way. Different crowds, different venues, and different vibes. I hope to add this show to my list. When was the first time you realised you were going to make it big? Was there a ‘pinch yourself’ moment where it all fell into place? I’m still waiting for it to hit me. Do you think music has to have a message and, if so, what do you believe yours to be? Sometimes it does and it can be great to pour your heart out into a song, and sometimes it’s great to just write something fun. There are no rules. How do you think your music and attitude to the music industry has evolved over the years? My music has definitely changed over the years, and I would hope that it has. Growing and expanding your own genre is part of the process.